The Bragg grating acts like a mirror which only reflects one very precise wavelength (colour). When the optical fibre is strained or when its temperature changes, the reflected wavelength varies proportionally. 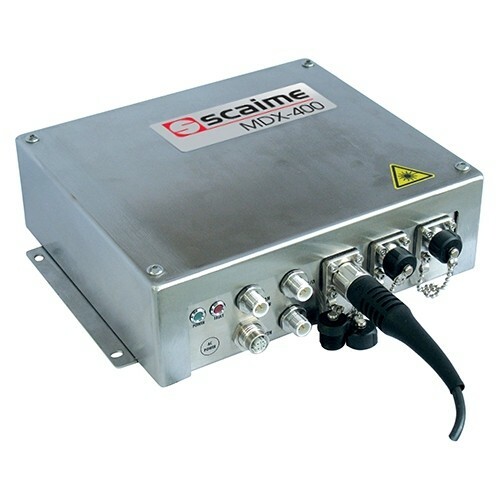 Different sensors manufactured using gratings with a specific wave length can be implemented in a series on the same optical line (typically up to 16). Previously reserved for laboratory measurements, the MDX400T brings fibre-optic measurement technology to the industrial sector for the first time. 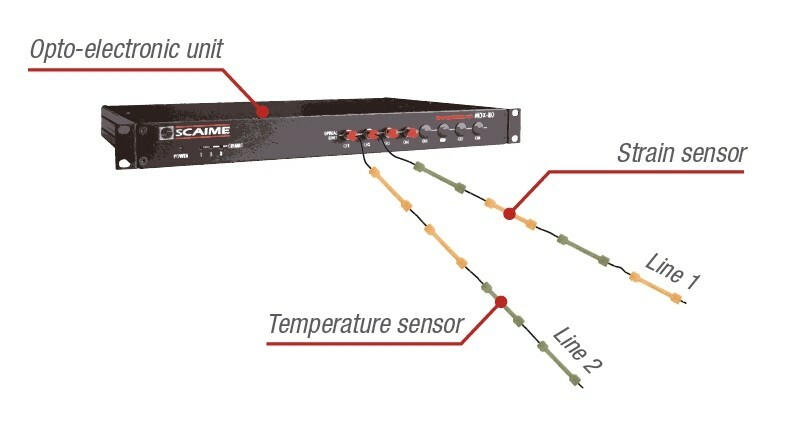 Noting the growing interest among industrial manufacturers in the benefits of fibre optics, SCAIME has developed a new Bragg grating sensor conditioner specially designed for facilities in difficult environments.